What’s in Vio® For You? Customers at a coffee shop have different needs and expectations than patients in a hospital cafeteria or students in a college dorm. The same goes for guests in a hotel versus diners at a restaurant. Yet Vio® makes everyone happy. These foam disposables are filled to the brim with advantages that make them popular in different settings for different reasons. And Vio gives everyone on your side of the counter plenty of reasons to love it too. It’s What’s on the Inside – and the Outside – that Matters. 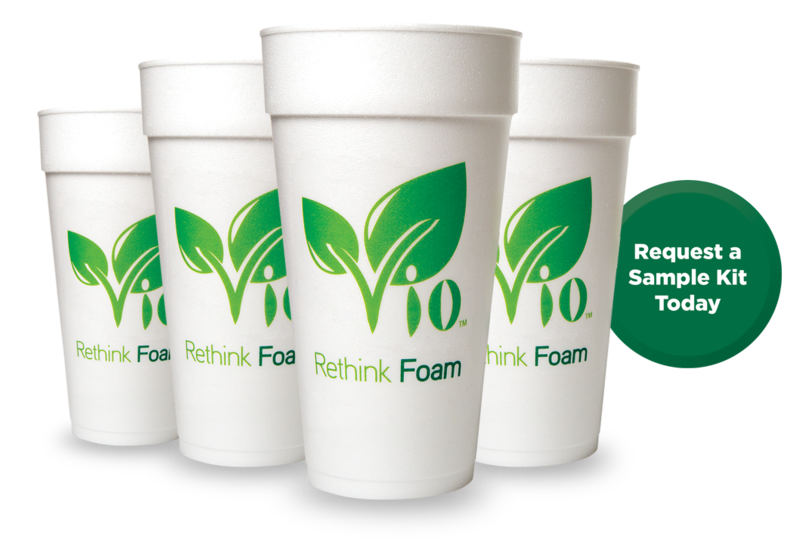 Thanks to a special additive, Vio is the first expandable polystyrene (EPS) foam cup on the market that biodegrades. * We know you’ll appreciate having a better choice to make, and your customers will appreciate it too. Did you know? 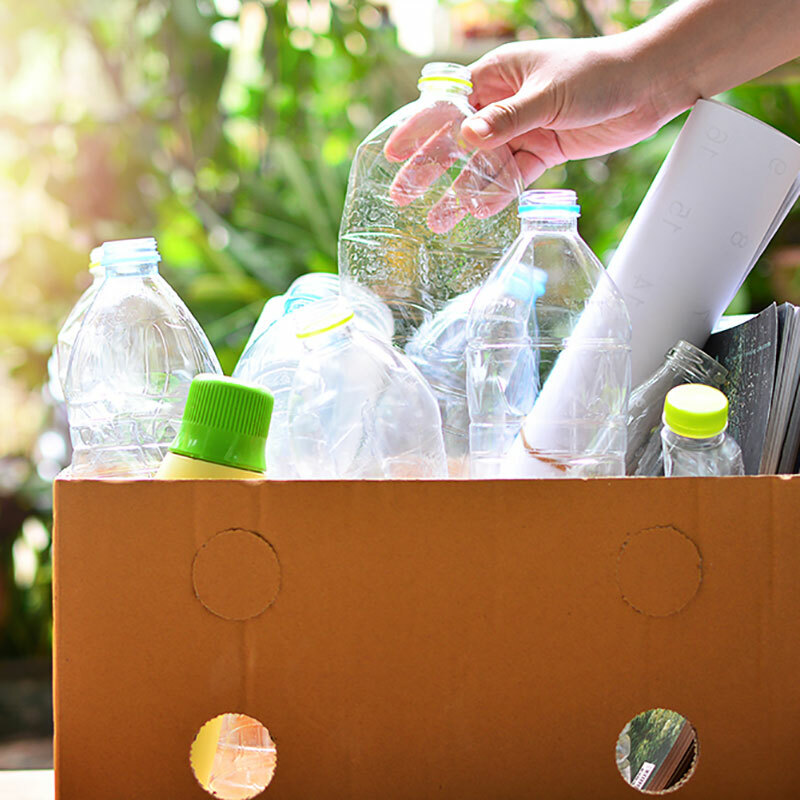 Tons of recycling contaminated with items like paper coffee cups lined with plastic are ending up in landfills. All the traditional advantages of foam disposables... with an end-of-life story that customers will love almost as much as your specialty drinks. Meet the new go-to to-go cup for coffee & tea shops. 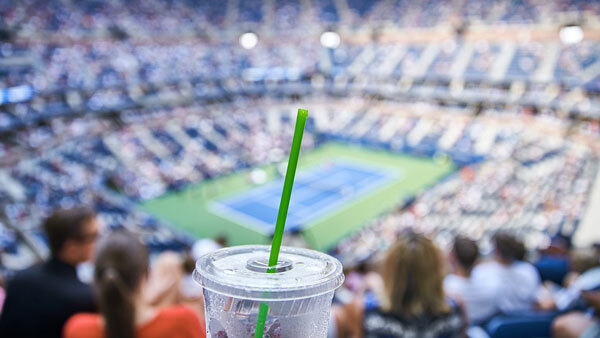 When you serve to-go drinks, soup and sides in the world’s first biodegradable* foam cups and food containers, it tells customers you really do care what happens to the environment — end of story. 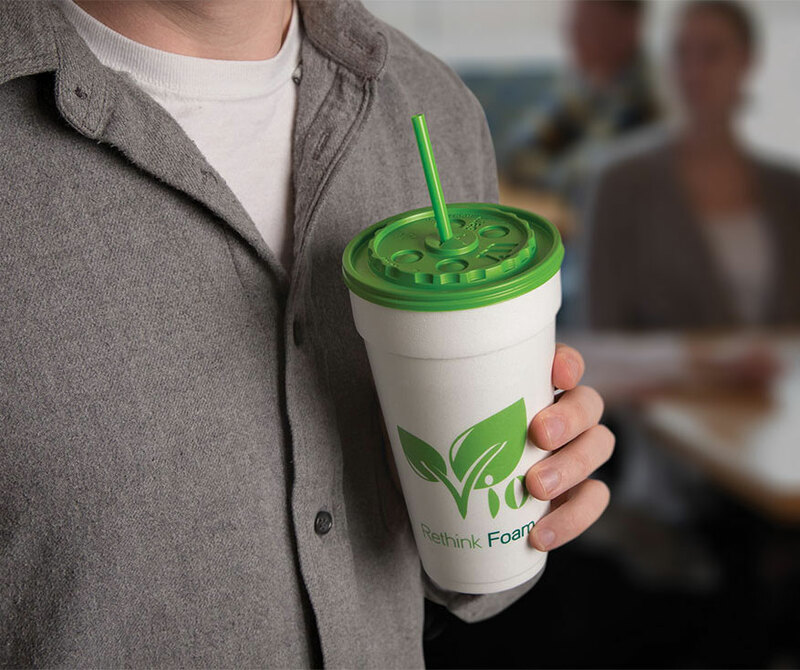 Vio® foam disposables are a textbook case in how to please today’s eco-minded students. And Vio gets straight A’s from campus foodservice operators too. From the very beginning, Vio® was created to bring about more happy endings — for operators, customers and the environment. This story is no fairytale. 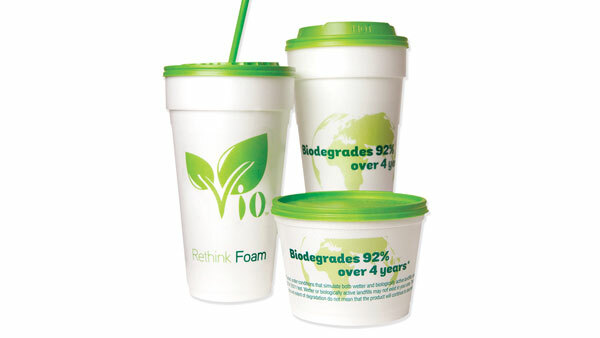 Check out the environmental and economic benefits of the world’s first biodegradable* foam disposables. 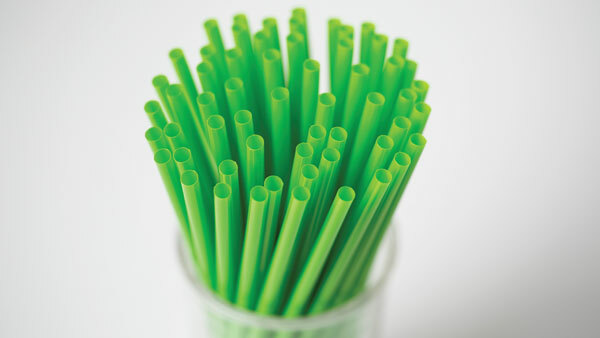 Satisfy a steady flow of happy customers by serving to-go drinks, soups and sides in the world’s first biodegradable* foam disposables on the market.